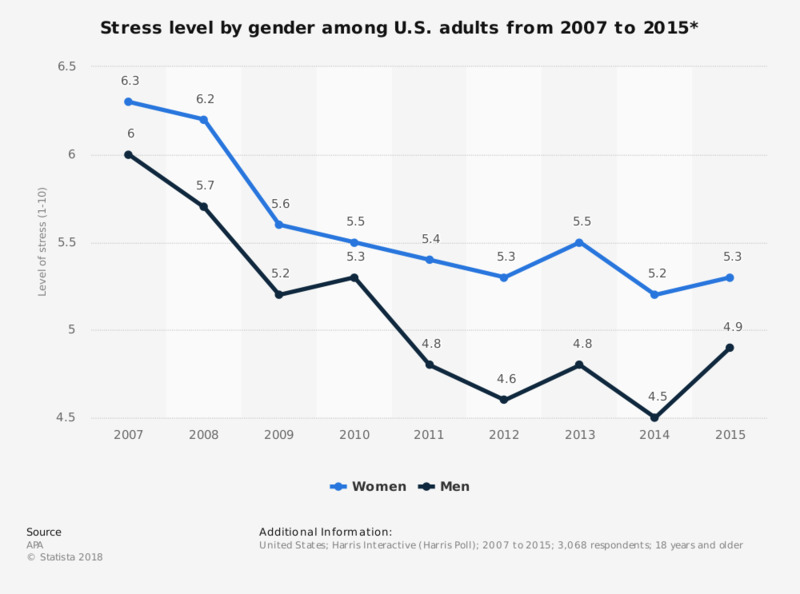 This statistic displays U.S. adults' levels of stress based on gender from 2007 to 2015. Among U.S. women, average stress level was rated at 6.3 in 2007. High stress can weaken the immune system and cause exhaustion in the body. Work is one of the most common sources of stress for adults. * Original question: "On a scale of 1 to 10, where 1 means you have “little or no stress” and 10 means you have “a great deal of stress,” how would you rate your average level of stress during the past month?" Figures for 2015 were taken from the newest Stress in America Report and can be found here on page 14. To what extent do you agree or disagree that Monday is the most stressful day of the week?